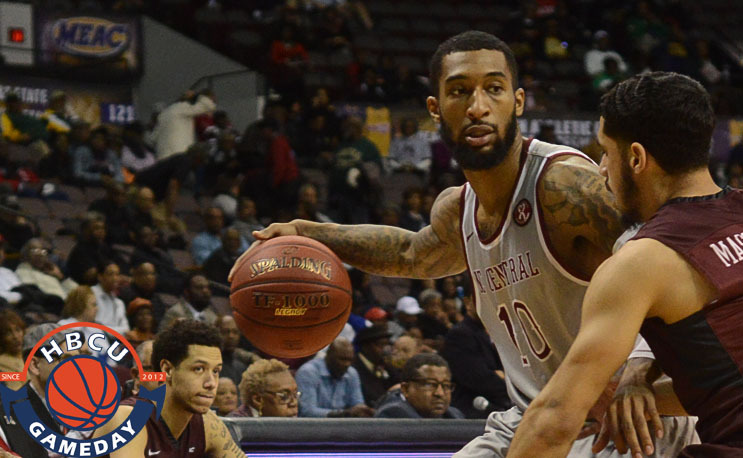 North Carolina Central is the reigning MEAC king, but it will have to replace much of the Royal Court from 2017 if it hopes to repeat. NCCU lost all five starters from last year’s team, but it has eight new signees hoping to help it stay atop the conference in the coming season and beyond. The class includes former Cleveland State guard Jibri Blunt, son of Pro Football Hall of Famer Mel Blount. The 6-7 forward won’t be available to NCCU until the 2018-19 season due to NCAA transfer rules. He averaged 4.7 points and 2.7 rebounds in 59 games. The class also includes two freshmen: Jordan Perkins of Greensboro Day and Reggie Gardner of Baltimore’s DeMatha High School. Gardner, a 6-3 guard, played with top overall pick Markelle Fultz before finishing up at prep school in Conneticut. DeMatha Catholic Highland School is located in Hyattsville, MD NOT Baltimore.